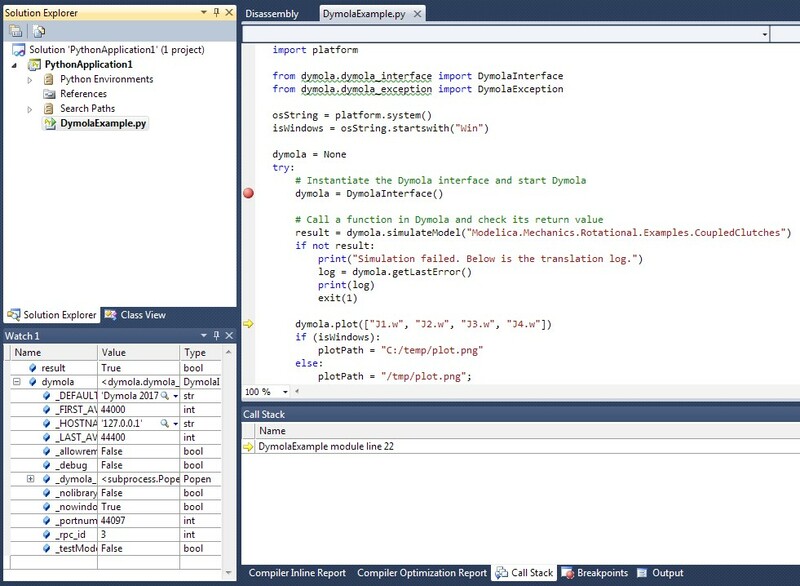 This article is designed for Windows users that want to interface with Dymola from Python. A Python Inteface to Dymola was first implemented in Dymola 2015. In this article Python 2.7 and Dymola 2017 are interfaced using Visual Studio 2010 with PTVS. Figure 1: Snippet of Python Dymola interface functions. Dymola does not include Python or a Python IDE so these need to be installed. Section 6.7 of the Dymola User Guide Volume 2 contains simple instructions about how to install and test Python. These instructions are easy to follow however make sure that you get Python 2.7. Also when you modify the PATH first create a backup of the path before modifying the path, and make sure that the path has been modified in the way you expect. 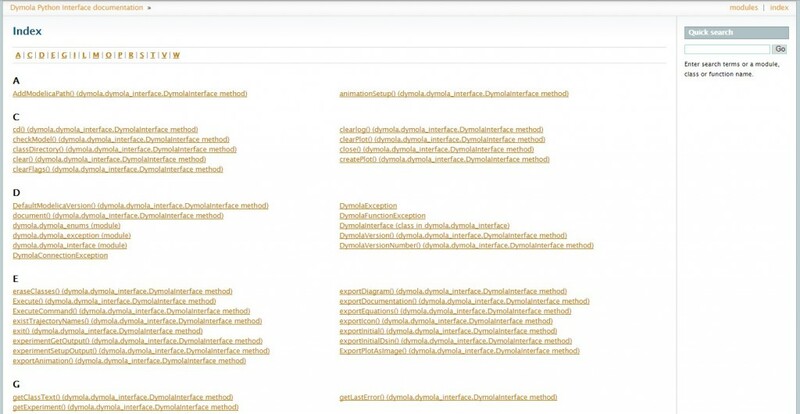 Run through the instructions in the Dymola Manual and make sure that DymolaExample.py simulates as expected. 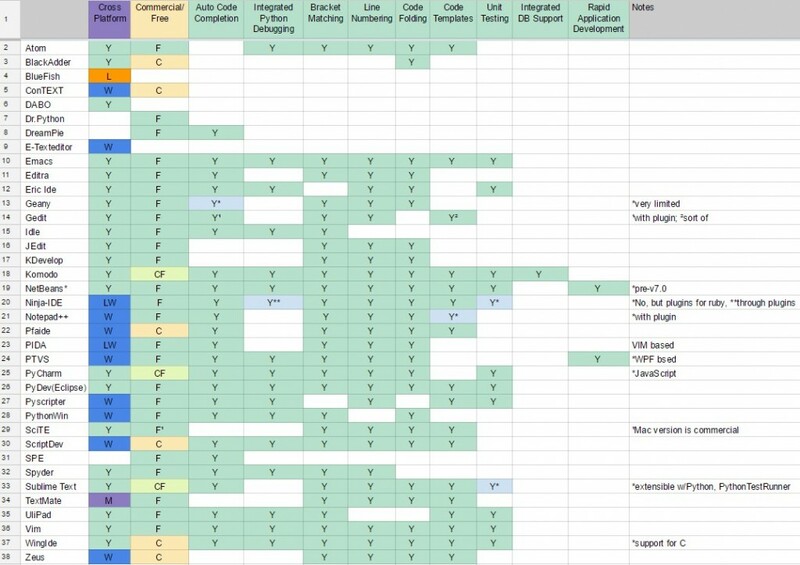 Figure 2: Comparison chart of Python IDE tools. I chose Python Tools for Visual Studio (PTVS) which is a free plugin for Microsoft Visual Studio for creating, debugging and running Python projects from within Visual Studio. This interface has many features such as auto code completion and integrated Python debugging. I recommend running through the first 4 videos. Create a new Python project using “From Existing Python code” as in Visual Studio Tutorial 2/6: Starting coding in Python using Visual Studio. Select Python 64-bit 2.7 as the Python interpreter and leave the other settings as is. 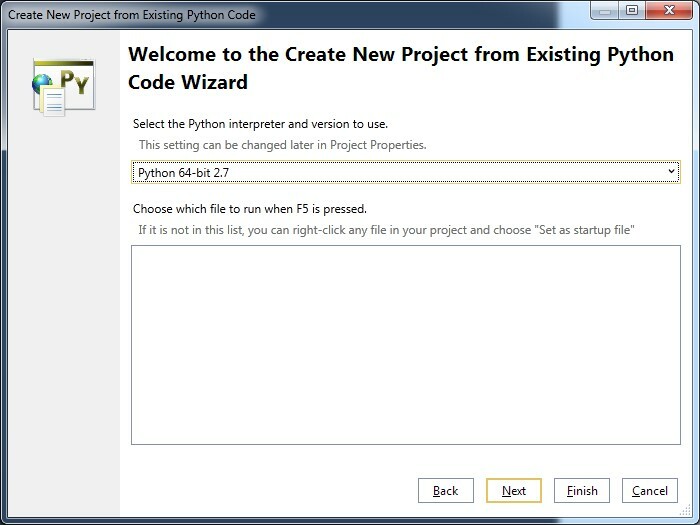 Figure 3: Python Code Wizard for creating a new project. Select Python 64-bit 2.7 as the Python interpreter. Add the DymolaExample.py code by right clicking on the project name and selecting Add->Existing Item and browsing to <Dymola 2017 Installation directory>\Modelica\Libraries\python_interface\examples\DymolaExample.py. Figure 4: Adding an Existing Item to the Python project. Figure 5: Adding Zip Archive to Search Path. <Dymola 2017 installation directory>\Modelica\Libraries\python_interface\dymola.egg is selected. 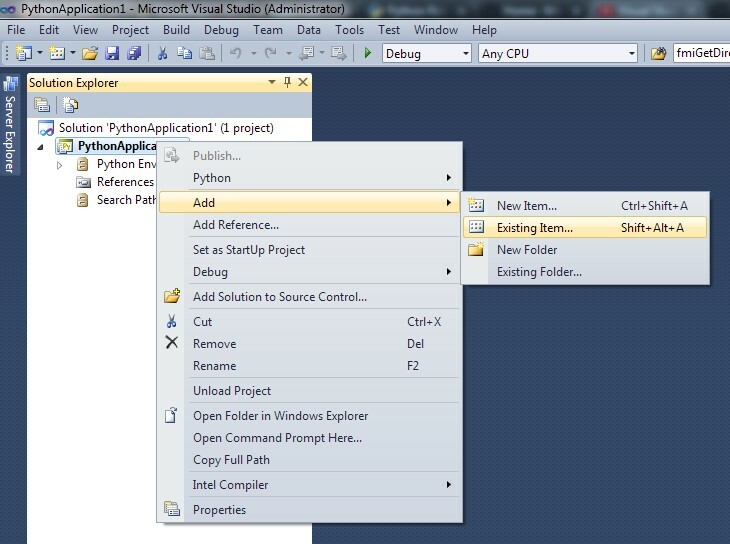 Now it should be possible to step through the Python code in the Visual Studio environment. 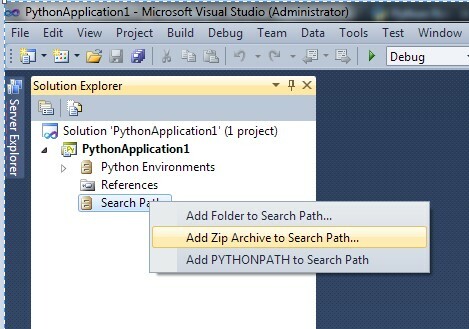 Figure 6: Stepping through the Python code in the Visual Studio environment.